OTTAWA — Mexicans will be able to travel visa-free to Canada as a result of an agreement between the two countries to settle a pair of protracted bilateral disputes on Tuesday June 28. The deal comes in the run-up to a U.S. presidential election in November that could shake ties between the three North American nations. In return, President Enrique Peña Nieto said Mexico would allow expanded imports of Canadian beef starting in October, ending 13 years of restrictions imposed after a case of mad cow disease was discovered in Canada. “It is my hope that through meetings like this one, we will be able to further strengthen that relationship in the years ahead,” Trudeau said after talks with Peña Nieto. 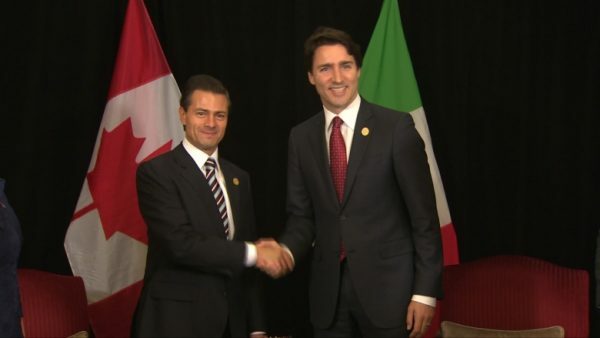 Peña Nieto, making the first state visit by a Mexican President to Canada for 15 years, said the two nations had created a working group to study how to deepen relations. “Regardless of the eventual winner, from one administration to the next, there are changes, and there are shifts, but we will engage … in a positive, thoughtful collaborative way that understands the importance of the North American trilateral relationship,” he said.